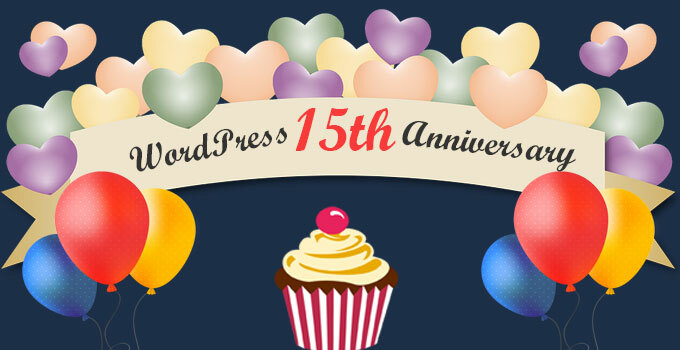 WordPress, the largest blogging platform in existence, became 15 years old today. Started in 2003 as a joint effort between Matt Mullenweg and Mike Little to democratize publishing one website at a time, WordPress today powers over 59% of all the websites whose content management system is known – which is nearly 30% of the entire web. WordPress undoubtedly is over a decade old, but it still isn’t showing any signs of growing old. Rather, it is setting new standards of perfection and popularity with each passing day. The popularity of the platform can be judged by the fact that bloggers, programmers, organizations, and entrepreneurs all over the world celebrate the first release of WordPress like a mini-festival. Such a mood today was also visible at CreativeWebLogix – Web and Mobile App Development Company. Started its journey more than a decade ago, CreativeWebLogix has been using, developing and contributing to WordPress since 2004 and helped a diverse global clienteles with cutting-edge, custom WordPress solutions. We have evolved and matured along with the world’s best and most popular content management system WordPress and today, we are proud to see ourselves in the position of industry leader. It is the contribution and support of WordPress lovers like you who brought us to the position where we are today. Therefore, on this special occasion of WordPress anniversary, we thank our employees, clients, and visitors for the continuous support they have provided to CreativeWebLogix over the years. Keep supporting and cheering us up the same way as you have till now.